Back and better than ever is the Second Annual Food Truck Field Day taking place Saturday, April 6th from 11:00 am – 3:00 pm. 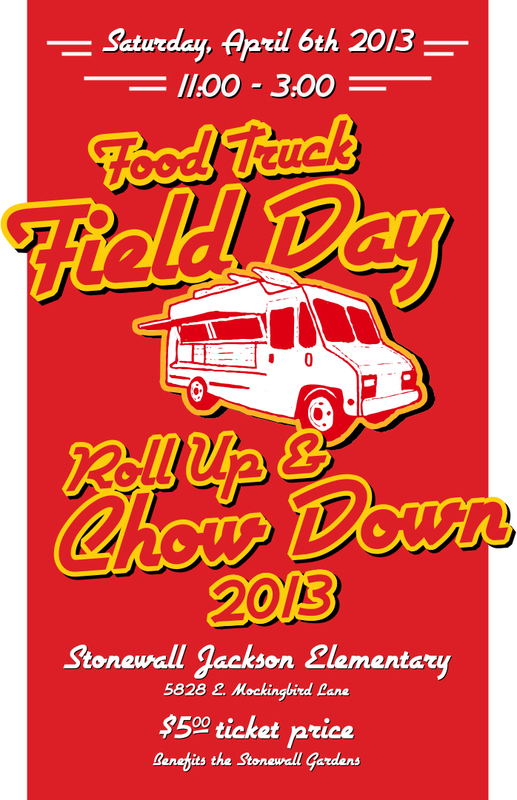 Eleven of Dallas’ favorite gourmet mobile eateries will be at Stonewall Jackson Elementary, Mockingbird at Matilda, for a day of delicious food, entertainment and family fun! $5 tickets can be purchased the day of the event and do not include the cost of food. All proceeds benefit Stonewall Gardens.